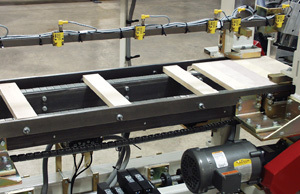 Moulder-Tenoner Automation Provides AMHE Solutions for the Woodworking Industries – Creative Automation, Inc. 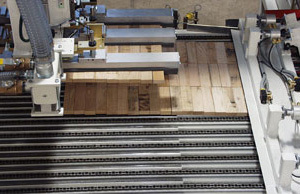 Automated Moulder/Tenoner material handling is just one example of the many solutions that Creative Automation has provided to solid wood customers. Feeder, part escapement and 90 degree transfer prior to the moulder. Queue area between the moulder and double end tenoner. 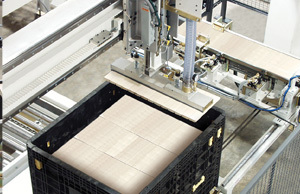 Servo-driven stacker, stacking parts into a container.